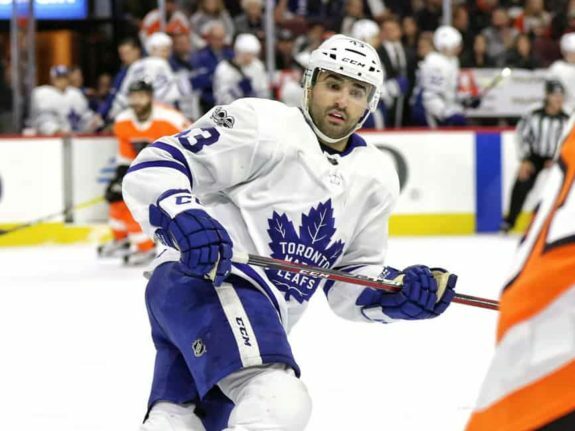 Is It Time for the Toronto Maple Leafs to Trade Nazem Kadri? Is It Time for the Maple Leafs to Trade Kadri? Branch Rickey was a very smart guy. The long-time president and general manager of the Brooklyn and Los Angeles Dodgers is probably best noted as the sports executive who broke Major League Baseball’s color barrier by signing and bringing Jackie Robinson to the majors. However, it didn’t stop there. Rickey created the modern minor league farm system, warm-weather training facilities and even introduced the batting helmet to baseball. However, more to the point of this post is his rule of thumb that suggests a team should always trade a player one year too early rather than one year too late. And, here’s where it matters to the Toronto Maple Leafs. 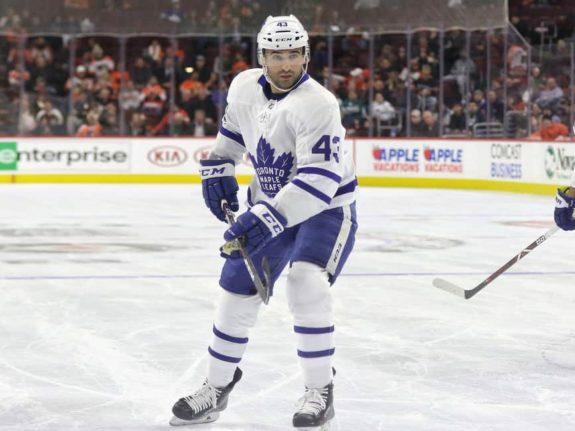 This might be the season the Maple Leafs should consider trading its 28-year-old, third-line center Nazem Kadri. I really like Kadri. He’s brash, seems fearless, sticks up for teammates and is reliable. He usually plays against other teams’ top lines and still contributes offensively. His job with the Maple Leafs is to neutralize opposing top guns, and he is pretty effective at it. Still, it might be time. He’s a 30-goal per-season center who’s in his prime. There are a number of reasons NOT to trade Kadri. Although London, ON, is further down the road than other Toronto suburbs, the effect is the same. He is an “Ontario Guy,” and as Don Cherry says, you can’t have too many players from Ontario. I believe that too. With Kadri, the Maple Leafs finally have the depth at center they have desired for so many years. Why ruin that? In fact, he has been a “project” of coach Mike Babcock since Babcock came to Toronto, and Kadri has responded with two 30-goal seasons. In 2016-17, Kadri played all 82 games and scored 32 goals and 29 assists for 61 points. The following season, he scored 32 goals and 23 assists for 55 points. He’s been as effective as William Nylander, but ironically in a quieter way because he doesn’t play a quiet game. Kadri has a proven history of success. He gives the team one less thing to worry about. Why move from the known to the unknown? Those reasons given, there are also good reasons to move Kadri this season. Kadri does not play on the perimeter and because he doesn’t, he’s taken his cumulative lumps over the years. He plays the kind of physical game that eventually takes its toll. Using the example of the Dallas Stars, he’s a Jamie Benn kind of guy who mixes skill with power. That game makes a player age more quickly in hockey years. In comparison to Benn, teammate Tyler Seguin plays a perimeter-oriented skill game that moves him further away from the rough stuff. Here’s saying that, in the end, Seguin will have a longer NHL career than Benn. If you want to see how quickly a highly-valued physical player can fade, look at the Edmonton Oilers’ Milan Lucic. He is only 30 years old, but is not producing at all and suddenly carries an albatross of a contract. Kadri plays the kind of game coaches love, but because of it, he’s the kind of player the Maple Leafs should consider trading one year too soon rather than one year too late. Kadri is a good candidate to be traded because he has the kind of contract another team could easily assume. Specifically, his six-year contract has an average annual value of $4.5 million, but it’s structured nicely for another team. He had a $5 million salary for the first two years, $4.5 in years three and four and finishes with a $4 million base salary in years five and six. This contract makes him a valuable trade chip. He’s a 30-goal scorer in his prime who can be a top-six player or, as he’s currently playing, a highly-valued third line leader. When trading, teams seek players between the ages of 27-30 because they show a reliable body of work. There’s no mystery: a team knows what it’s getting for its money. As noted, Kadri also has an affordable contract that gives a team multiple seasons without a large commitment. In fact, his contract structure ages well as it gets better as it progresses. Finally, a center who scores 30 goals is uncommon and is highly-prized. For these reasons, there is likely a good trade market for Kadri and he would probably return value if traded. I am thinking of trading a center for a defenseman, which is a need for the Maple Leafs. I’m certain I am not the only person to suggest this, but Nylander and his large contract should be playing at center and not wing. He’s the kind of player who makes others better on the ice, and perhaps moving him to the third-line center role would help the team. Finally, because the Maple Leafs signed Nylander to a six-year contract, it’s better to commit to a center than to a winger. The Maple Leafs have younger players who could move into the space a Kadri trade would create. I’m thinking of the offensive potential of Connor Brown, for example. His record in the minors suggests he might be better in a third-line role rather than on a fourth line. Making Nylander a center allows that move. Finally, trading Kadri for a reliable defenseman shapes the Maple Leafs roster in a way that is advantageous. The team is blessed with more good forwards than defensemen, and making that switch makes sense. I’m not the first person to think of trading Kadri. Last summer, prior to the season beginning, Kurt Hill of Fansided suggested a similar idea. I bring it up now because I think the reasons for such a trade are starting to make more sense as the season progresses. Notice that I didn’t suggest that trading Kadri opens up needed cap space. I am thinking that the Maple Leafs might leverage a Kadri trade to find the defenseman they need without trading a prospect for a rental. Perhaps an old-fashioned one-for-one trade, a center for a defenseman, would be better. We’ll see how that progresses as the Feb. 25 trade deadline nears.